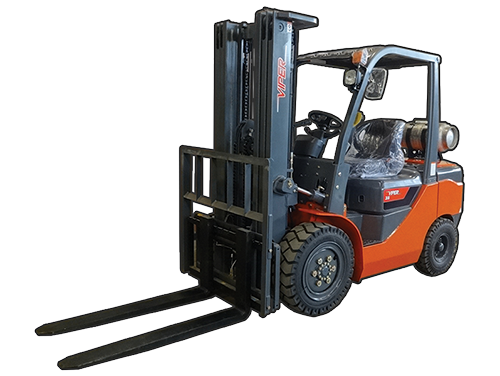 Paying for a new piece of equipment like a Viper Forklift is a huge decision. Is it better to pay in cash or to get a loan? Or is leasing the way to go? Financing Leasing allows you to avoid large cash downpayment. The entire cost of new equipment can be financed. This includes taxes, shipping and equipment setup. If you opt for bank financing, these may be separate fees. The Simple Route Leasing requires less paperwork and usually has less stringent credit requirements than bank financing. Most leases are approved in 24 to 48 hours while bank approval can take weeks. Your Business Can Have Up-to-date Equipment Most leases can be designed so that you can get the latest equipment when you need it. This way you don’t have to worry about what to do with old equipment. Also, once approved for equipment leasing, you will not have to go through the application process again. When you come back for new equipment, you’ll be ready to go! Pay For The Equipment While You Use It When you lease equipment, you are paying for it as you get to use it. You don’t have to worry about sacrificing a large cash outlay before you even receive the benefits of the equipment. Taxes You’ll be able to deduct 100% of the leasing payments for your Viper. When purchasing equipment outright, your tax benefits will usually not be as substantial due to depreciation rules.